1.8" x 2.2" x 1.1"
Q. How often is the vehicle location updated on the map? We offer the fastest tracking updates on the market...location is updated every 10 seconds. If the unit is travelling less than 10mph, location will be updated every 20 feet. Q. How easy is this tracker to install? Installation is easy, and takes only a few seconds. Simply plug it into your car's OBDII port, and it's ready to go. The device is powered by your vehicle's battery. Q. How can I be sure my car has an OBDII port to plug this tracker into? Every car made after 1996 is required to have one. You can check the location by referring to your vehicle's owner's manual. Usually the port is located near the steering column. Q. How can I view the live vehicle location? You can log in and view your vehicle (or fleet vehicles) location from any web browser on any internet-connected computer. Q. Is the vehicle tracking location saved anywhere? Yes. Even if you don't see the vehicle's location live, you can see up to 90 days of historical driving data by logging into your account. Q. How many vehicles can I track from a single account? You can track up to 3000 vehicles from a single account, so if you have a large fleet of vehicles, you only need one master account. You can also create sub-accounts if needed. Q. Can I create virtual fences or speed alerts? Yes! You can set up virtual fences or speed alerts, so you can get notified if your vehicle leaves a pre-set area, or exceeds a certain limit that you set. Q. Can I use this unit outside of the USA? Our GPS live tracker can be used outside of the USA in dozens of other countries, but if you want to use it in a different country, you'll have to specify this at checkout so we can ship you the proper unit. Q. Are there any monthly contracts or service agreements? Absolutely not! Service is month-to-month, so you are not locked into any contracts or service agreements. Use the tracker simply as long as you need it, and cancel at any time. Q. What is the monthly service cost for this GPS tracking device? 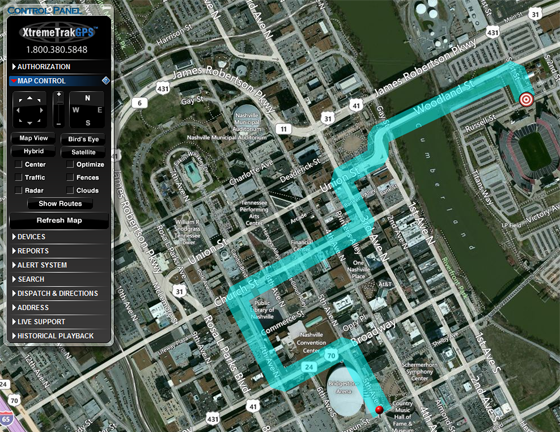 The GPS tracking service runs $29.95/month, which covers the cost of transmitting your tracking data live over the cellular network. 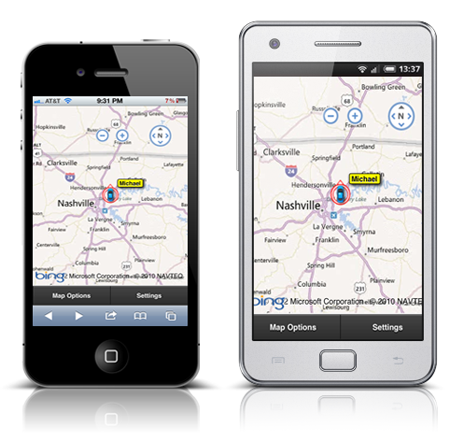 The XtremeTrakGPS™ On-Board Real Time Live Vehicle Tracker offers the fastest-updating GPS tracking on the market. Installing this miniature tracker takes less than 30 seconds, as the tracker plugs directly into your vehicle's OBDII port (This port is usually hidden under the steering column, and built into every vehicle manufactured since 1996). 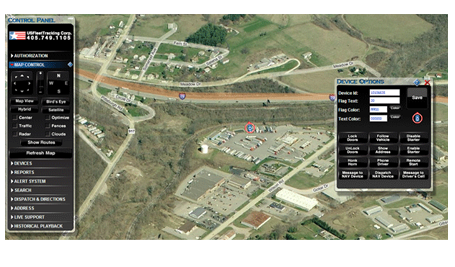 Watch your vehicle's location in real time from any web browser. There's no software to install - everything is set up and controlled through the password-protected web interface. 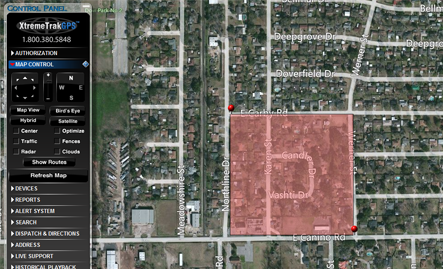 Set up real-time alerts, so if the vehicle leaves or entered a pre-determined area, you will be notified immediately! You will get UNLIMITED TRACKING updates for only $29.95/Month - lower than any other live tracker. That's less than a dollar per day for the best GPS tracker on the market! What makes this incredible GPS tracking device that much better is that there are absolutely, positively NO MONTHLY CONTRACTS! That's better than the other guys, who lock you into 6-month and even 1 year contracts! The XT-50 plugs into your vehicle's on board diagnostics (OBD) port, which come standard on every vehicle made after 1996. Simply plug it in, and it's ready to start tracking. Tracking is web-based, so there is no software to install. Simply log in from any internet-connected computer (PC or Mac) and use your username and password to access your live tracking information. Other trackers claim to have "live" tracking - but they only update every 1-5 MINUTES. A lot can happen in that time. With the XT-50, you get industry leading 10-second updates - the fastest on the market. Because the XT-50 is powered by your vehicle's battery, there is never any battery-life concerns to worry about. Unlike other trackers that require a 3, 6, or 12-month contracts, the XT-300 has no contracts! Service is month to month, and you can cancel service any time. The tracker plugs into the port under your steering column so you don't have to charge batteries since it's powered by your car. Gives lots of good info like speed, location, addresses, etc. Haven't sent up the alerts yet but that function looks cool. Tracker arrived quickly. User manual was easy to read had it up and running quick and can find out if my vehicle is every stolen.